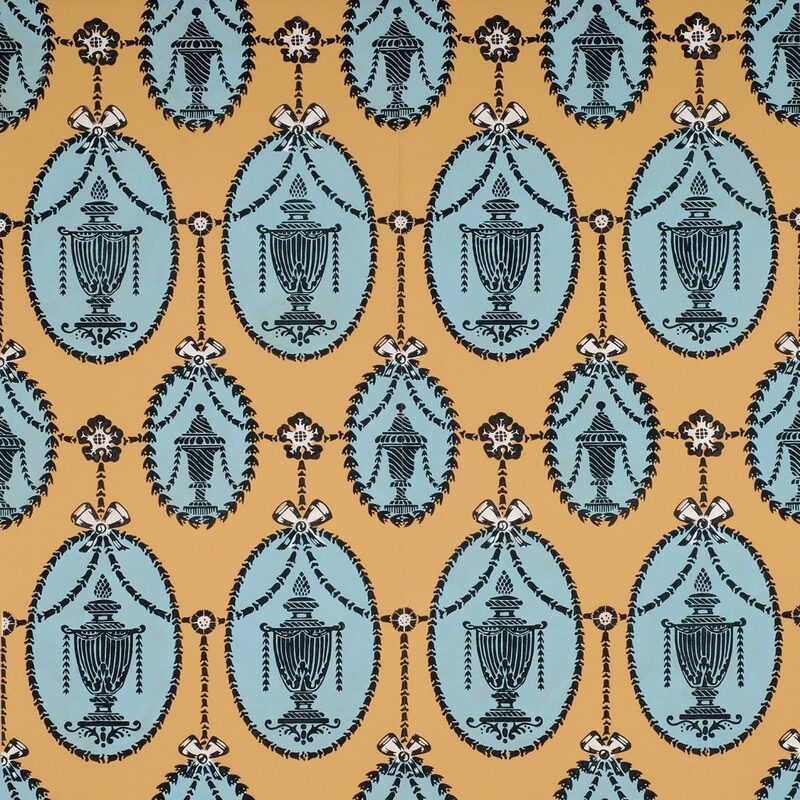 This pattern is licensed to Adelphi Paper Hangings by Historic New England. 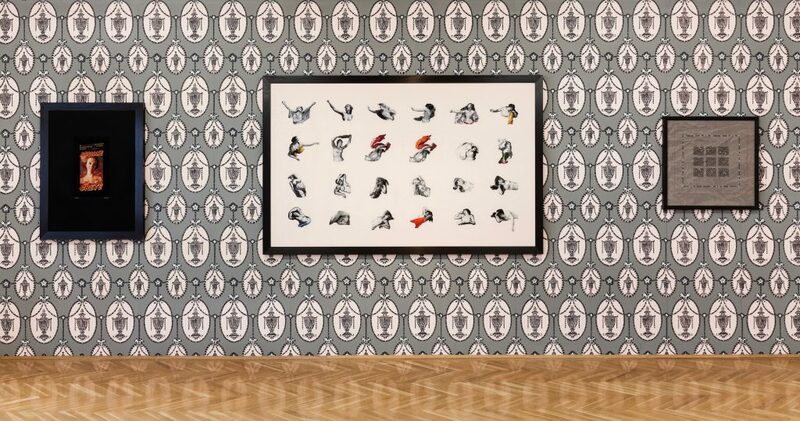 Elaine Reichek: exhibition view, Secession, Vienna, 2018. Hamilton Urns is one of the earliest examples of American neo-classical wallpaper design. It is quite likely to be the pattern referred to as “Oval and Slack” in the estate inventory of John Welsh, Jr., a Boston paperstainer. The pattern is documented in two very different colorways. The simpler of the two is white printed on a deep Prussian blue ground. A more complex version combines an ochre ground, the pattern printed in black with the blue stenciled ovals and white highlights under the rosettes and bows. Originally it was hung with a narrow border in the Jonathan Hamilton House in South Berwick, Maine. Imperial Measurements: Repeat 21 inches, width 21 inches, length 11 yards, straight match. Metric Measurements: 53.3 cm, 53.3 cm, 10 m.